Are few months enough to prepare for a race with such magnitude. Mostly no. I say mostly no because it depends on the person's general level of fitness, health, regular exercise and healthy eating. In best cases six months is a brief time to prepare for a marathon, and might lead to injury, even severe one. When you use google search, like I did in the beginning to get an idea about marathons and how to prepare for them, you will end up with thousands of search results from article and books etc. Some books claim they will prepare you for a marathon in four months, others claim to prepare you for a record finish time! But reality is unlike what those books and websites claim. Getting to the finish line in a marathon is a big challenge, but the bigger challenge really is getting to the start line. Before you start you need to rise and get ready. Rising and getting ready are what matters and hence the big challenge. After that the start line becomes a beginning to an exciting journey that comes at the end of hard work. 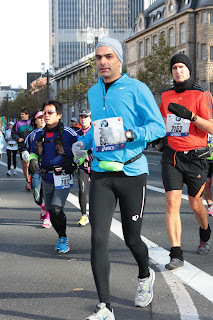 Rising was 6 moths ago from the date of the marathon. In 6 months I will turn 40. I found myself faced with big changes and big challenges. I have to rise. That is the title of the next phase. Yes I will rise and get ready for what is to come. 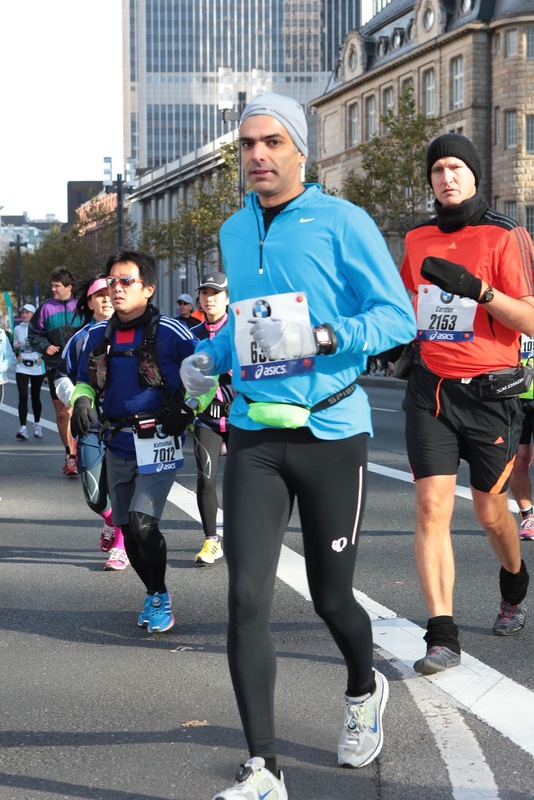 This is an article about my marathon journey. 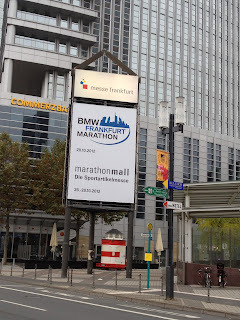 I ran the Frankfurt marathon on the 28th of October, 2012 (I wont tell the time here so read on!) which corresponds with my 40th birthday. I wrote the following thoughts and reflections on my experience. The article was originally published in Arabic by Al-Qabas newspaper of Kuwait on the 20th of December, 2012. This is a translation of the article which I will post in my blog in 27 installments. Enjoy! "A journey of a thousand miles begins with a single step," so the saying goes. The marathon is not a thousand miles. 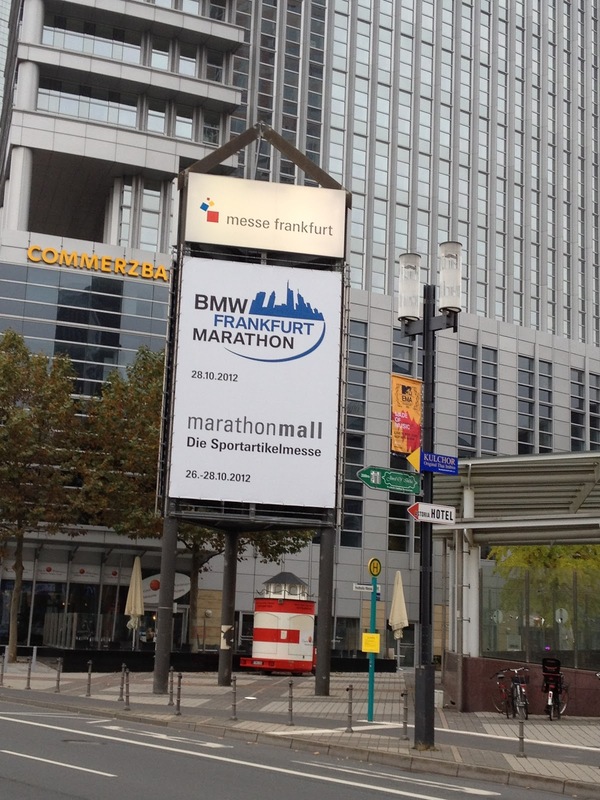 To be precise the marathon is 26 miles and 385 yards. Why the marathon? I feel I am at crossroads. I wanted to go through a different experience. A unique experience to accompany the changes that will occur as I bid farewell to an age and welcome another. It is my 40th birthday, and it's an important point that requires ample reflection and thought on what has passed and what is to come. I am not sure I get the logic here. Unnfortunately the kind of spending that is taking place (on public sector wages) is unsustainable in the future. Still, the surest way to guarantee failure in the long term is to be so paralysed by the fear of it that you don’t try anything new. The line that separates a hit from a flop is thin. Companies sometimes have to slaughter sacred cows to escape obsolescence: IBM only recovered from its death spiral when it abandoned its focus on building hardware. Some of the most successful products are the result of mixing oil and water—most obviously, phones with computers and entertainment systems. More trade would have familiar benefits: larger markets should enable firms to reap greater economies of scale, increase returns to investment and adopt more new technology. Just as important in the Middle Eastern context, more open trade would begin the process of dismantling over-centralised states and create a constituency for further economic change. Of course, trade liberalisation is no substitute for privatisation, financial reform and other domestic measures. But it has a political advantage over those reforms. Because the steps required are relatively small ones (reductions in red tape, for instance) they should provoke less resistance from insiders; and because regional trade can be presented as a pan-Arab goal, it does not have the same taint of “Westernisation” that discredited earlier reform efforts. Regional trade would be only a start. But the main thing is to start somewhere. The case for inter Arab trade as pathway for larger economic reform. The good thing about Kuwait is equality when it comes to size of business. Both big and small are not saved from bureaucracy and red tape.